The use of timber in construction is now seen as a key route to address the UK’s housing shortage. The Government’s target of 300,000 homes has recently been increased to 340,000 properties to be built in England alone, annually until 2031, to keep on track with demand, according to a 2018 report commissioned by The National Housing Federation. With greater emphasis on meeting this shortfall using alternative construction methods, offsite timber frame manufacture is increasingly seen as a proven method to reduce build programmes and improve cost efficiencies, and, with a precision in design that can be controlled within factory conditions, is currently the fastest paced sector within UK housebuilding. Construction of timber buildings is set to top 60,000 units in 2018, up from around 52,000 in 2016. Set against the backdrop of high demand, the need for efficient manufacture and maximisation of build space to maintain affordability, today’s specifier has to ensure that materials for timber frame construction can meet fabric energy efficiency requirements by delivering low overall U-values for the structure. Current Building Regulations Part L1A set upper limit U-values for each key construction element (roofs, walls and floors) as well as airtightness requirements within a structure. As the drive for energy efficiency continues, the Regulations also detail a Notional Dwelling specification, which is more onerous and demanding in terms of U-values. In the case of a wall, at least a 40 per cent improvement against the upper limit value is required. With the need to minimise energy loss from a property to lower the environmental impact, the architect needs to consider innovative ways to design a dwelling to ensure the notional specification is met yet is affordable to the end client. 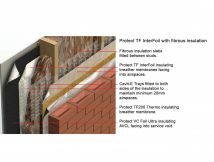 Using low emissivity, reflective membrane technology with insulating properties within the wall structure is ideally suited to timber frame panel construction and is a good way to achieve these objectives. How can the challenge be overcome with product specification? The thermal efficiency of the structure must be optimised so that low U-values can be achieved for each construction element to meet the low Notional Dwelling specification requirements. 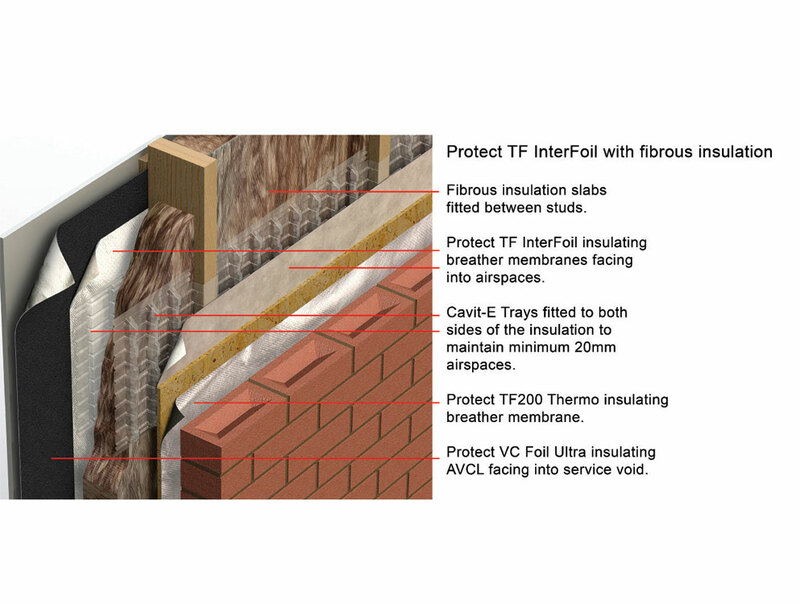 Taking the wall construction as an example, the use of internal breather membranes within the timber frame panel facing two still airspace cavities either side of the insulation, can deliver added thermal benefits when used with a reflective, vapour permeable breather membrane fitted on the outer face of the sheathing board on the cold side of the construction and a reflective air and vapour control layer (AVCL) on the warm side. This combination of products ensures thermal efficiency if installed with the reflective surfaces facing into the cavities, reducing the insulation needed within a timber frame panel while still achieving low U-values. 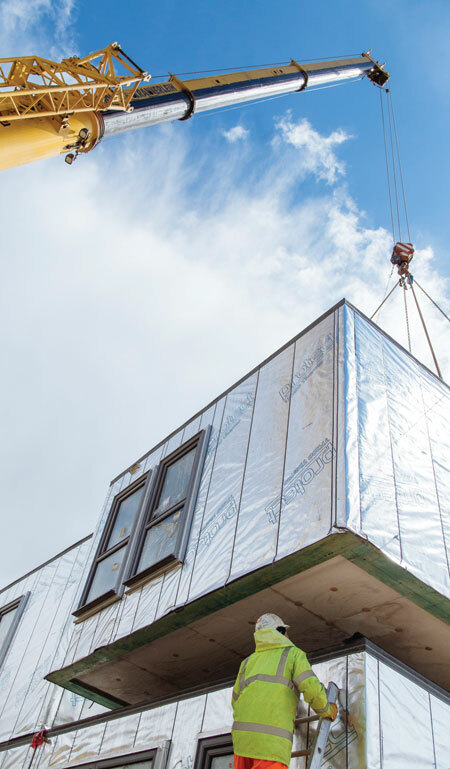 This could mean a reduction in the thickness of rigid, high density PIR insulation boards or a move to fibrous or EPS insulation without impacting on the wall’s footprint, thereby maximising land space and affordability, yet delivering strong thermal performance. Designing air spaces within a timber frame wall panel enables developers to meet stringent targets without impacting on the timber frame construction process or significantly increasing the cost of manufacture. To the owner and occupier, the long term integrity of the AVCL and the internal/external breather membranes will ensure that the full design benefits of a thermally efficient envelope are achieved and ultimately enhanced due to the use of reflective technology. How does a low emissivity cavity work? 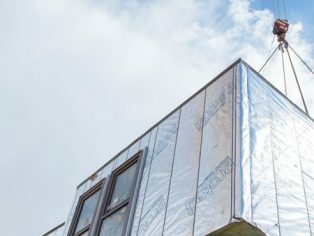 When using reflective membrane technology, the use of high purity, solid aluminium foil on the surface ensures the membrane forms a radiant barrier when facing at least a 20 mm unventilated airspace within a wall construction. This creates a low emissivity cavity, which significantly reduces heat loss and raises the thermal resistance of the airspace when fixed as per standard timber frame/stud practice and rafter centres. The correct use of internal and external reflective membranes will effectively block infrared radiation and increase the thermal performance of the airspace, allowing low target U-values to be met. To ensure that the right product is used appropriately within a timber frame panel to provide the required performance, an experienced manufacturer should be consulted – one which offers a full range of wall construction membranes and can ensure a solution based approach. Some manufacturers offer a free U-value calculation and condensation risk analysis service using membranes as part of the build-up to assist specifiers with their overall design.